The abandoned sheepfolds of St Kilda. 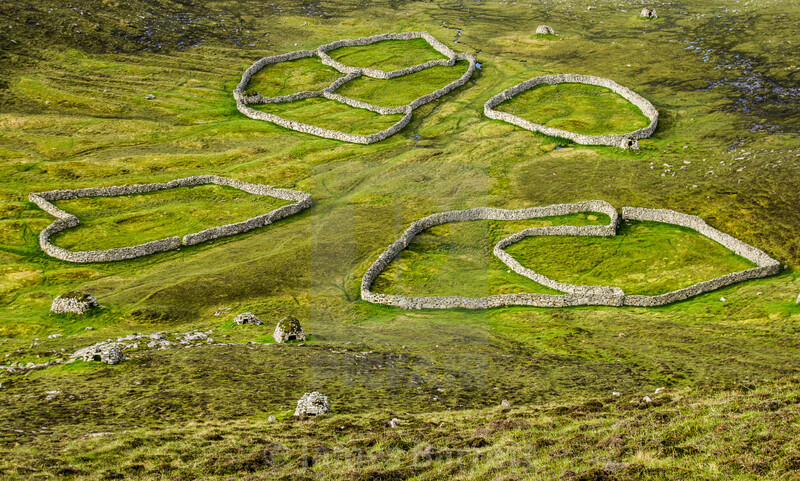 The sheepfolds on the island of Hirta, St.Kilda make interesting patterns on the land when viewed from above. St Kilda was abandoned by its resident population many years ago.